Let’s beat the summer heat together! 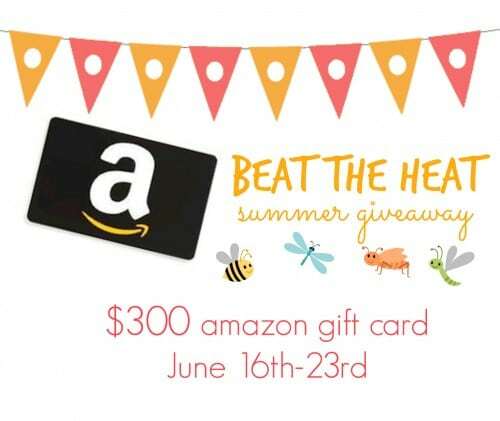 A bunch of your favorite bloggers have teamed up together because we want to give one of our readers a $300 Amazon gift card to celebrate summer! Use the form below to enter. I hope you win!